Comment: Book and storage cabinets for a bonus room. Comment: Floor to be tiled. Need to pull out bottom cabinets and reinstall. Cabinet under sink has a warped bottom. Center island is not attached to the floor. Needs wheels. Whatever else we can discuss. Comment: I am purchasing a condo and would like to have the existing two mast bedroom and guest bedroom closets redone. Both have unneeded shelving, shoe and TV Slots, built in cabinet drawers, etc. I would like to have a closet designed i both rooms to meet my needs of space and removing whatâs currently in each closet. Columbia Cabinet Contractors are rated 4.75 out of 5 based on 107 reviews of 10 pros. 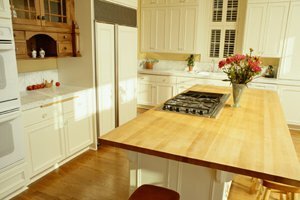 Not Looking for Cabinets Contractors in Columbia, SC?